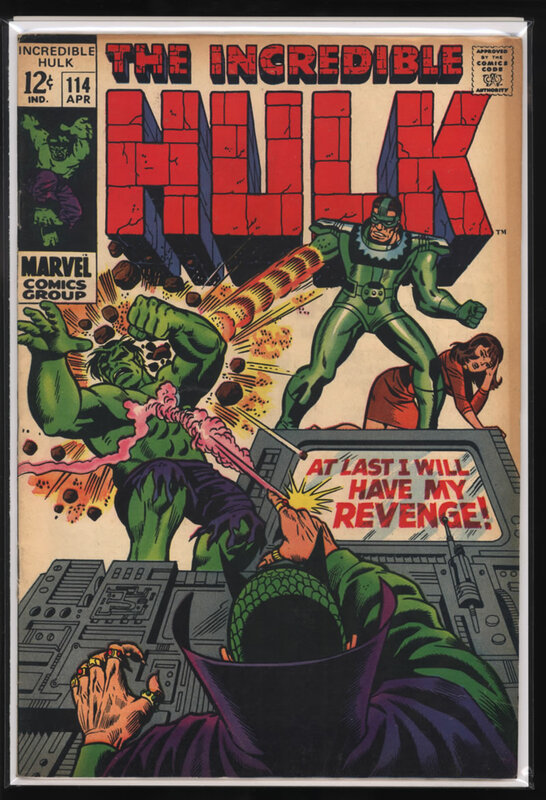 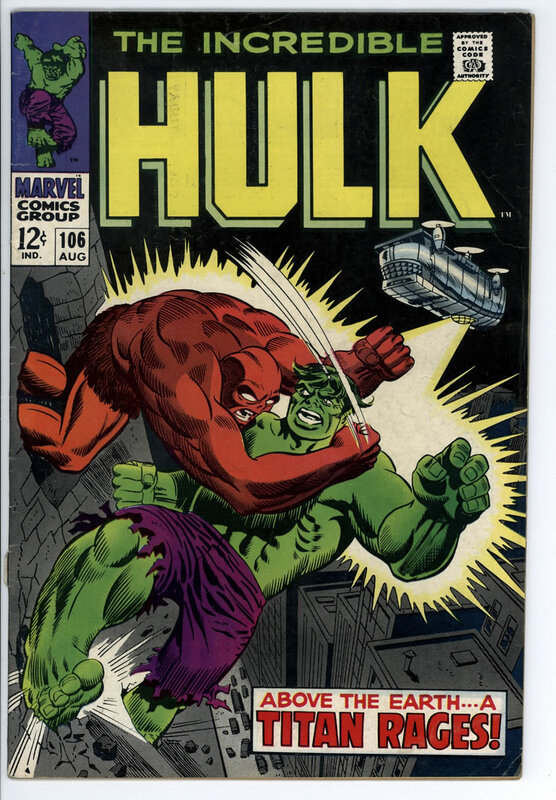 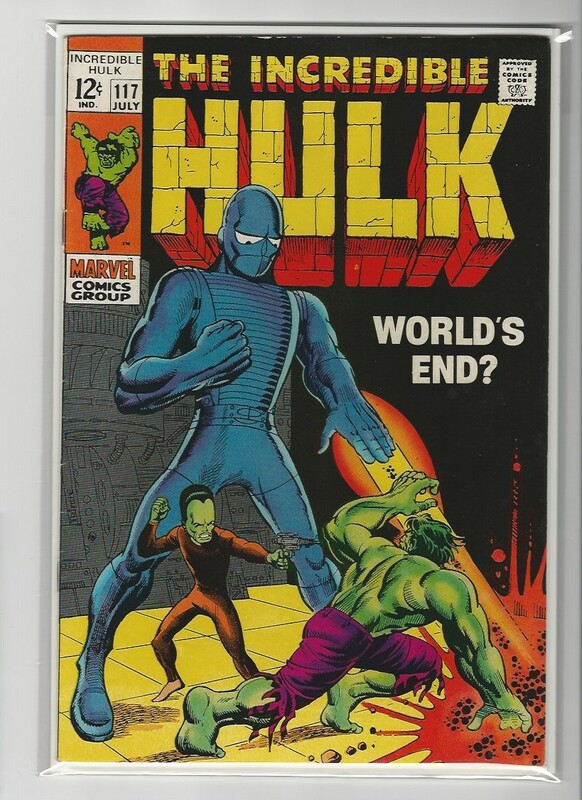 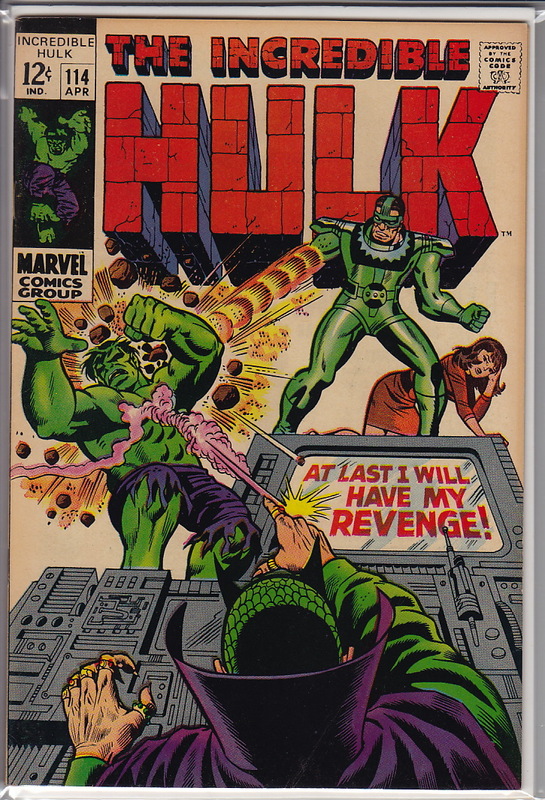 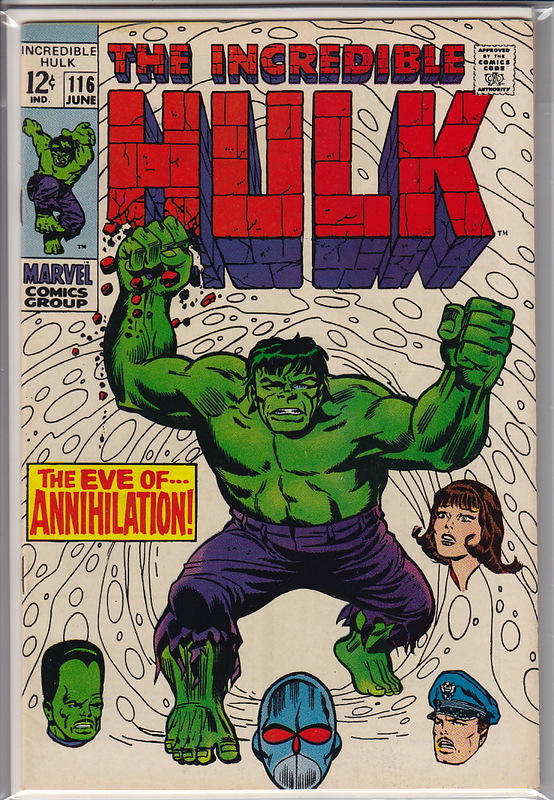 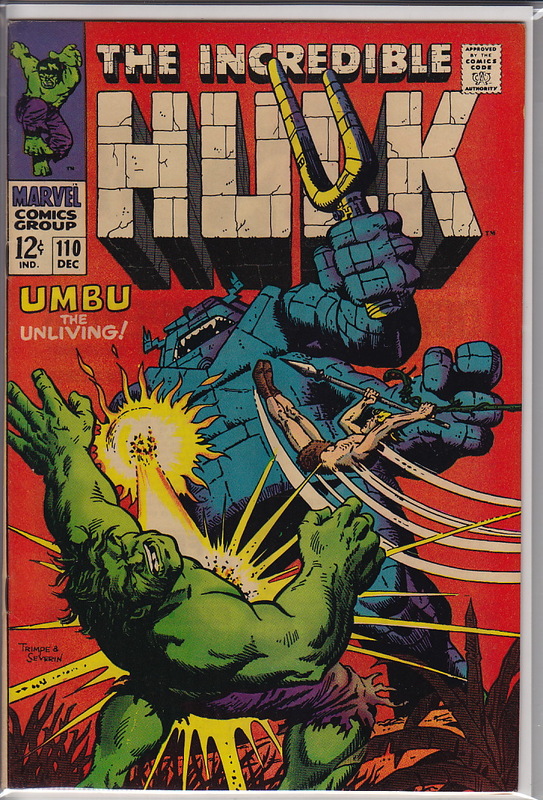 102 8.0 VF $450 APR 1968; Origin of the Hulk retold with Marie Severin and George Tuska art and classic cover by Marie Severin and Frank Giacoia. 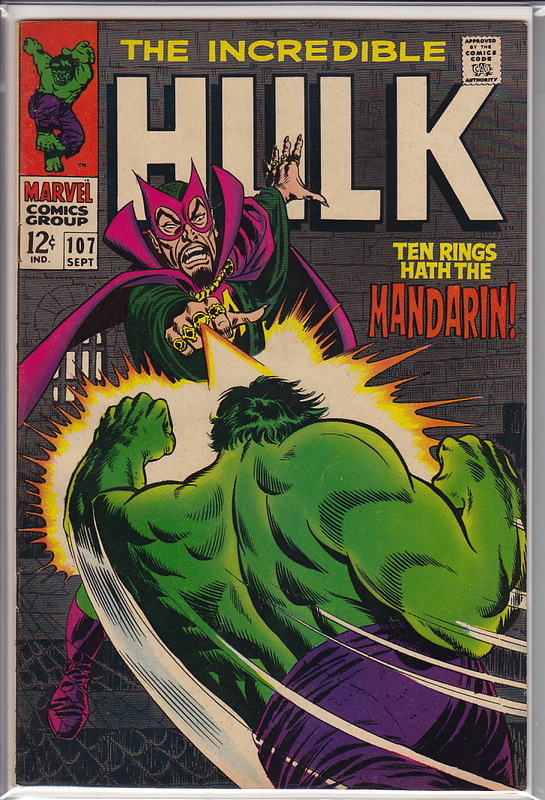 Story picks up from Tales to Astonish #101. 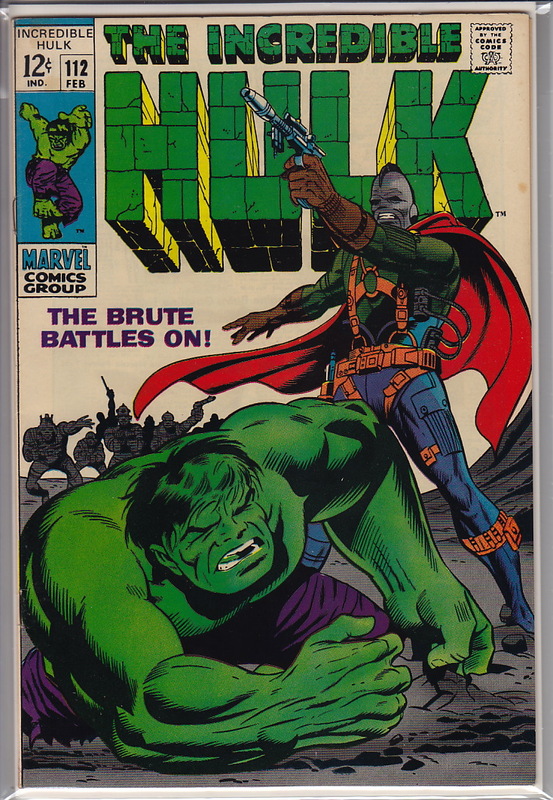 Warriors Three, Enchatress and Odin appearance. 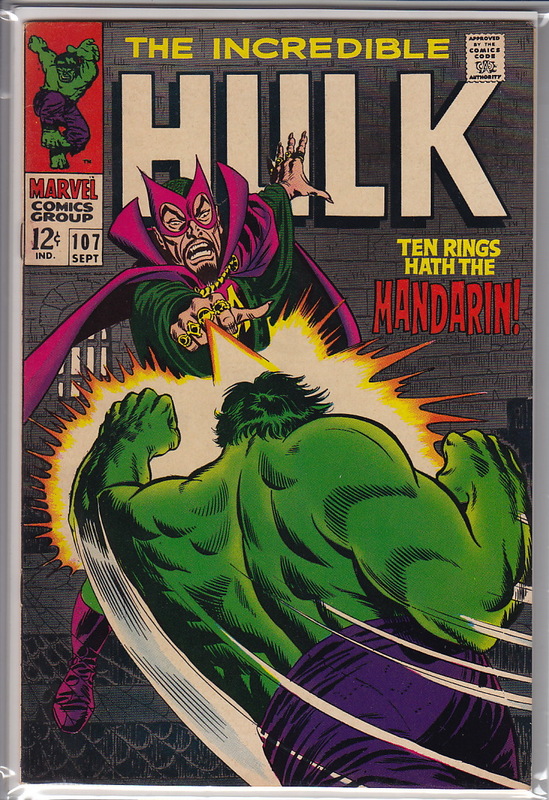 114 3.5 VG - $10 APRIL, 1969. 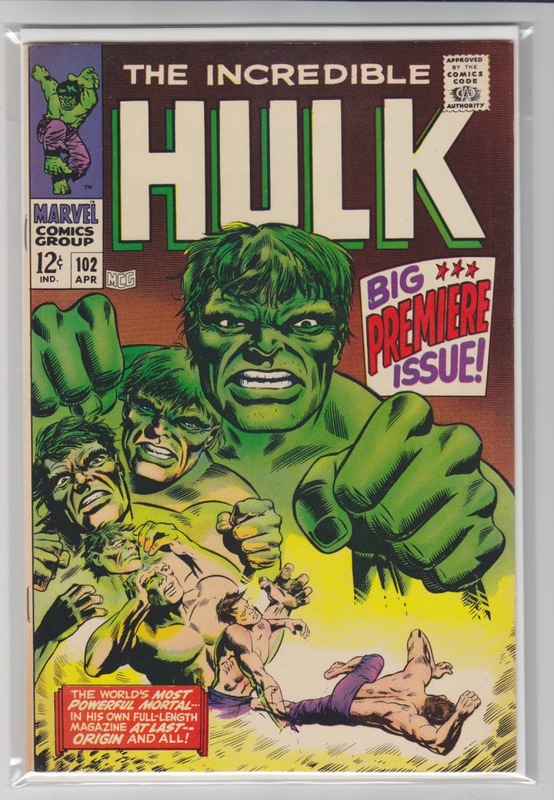 117 8.5 VF + $75 Black cover, looks better than the scan! 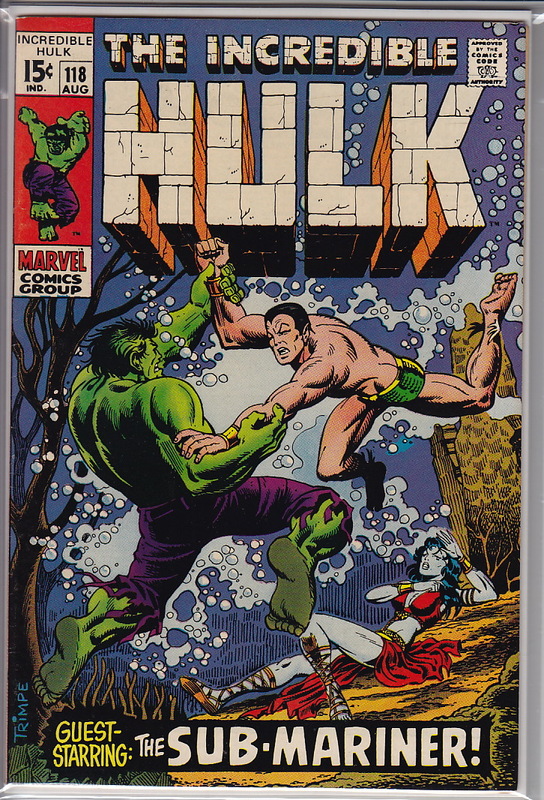 118 7.5 VF - $65 AUG 1969; Hulk vs. Sub-Mariner.